Costa specializes in sunglasses for the fishing enthusiast. Custom-made lens treatments and state-of-the-art lens manufacturing processes mean Costas can stand up equally well to salt water and fresh water. Costa sunglasses offer 100% UV protection in a wide variety of high glare or low light lens colors. Not only for fishing, the various specialized lenses can be used for golf, driving, and water skiing (just a few of the possibilities!) These anti-corrosive frames are perfect for any fisherman, or just someone looking for one of the best pairs of sunglasses out there. Free gift with purchase: Get a Costa C-Line™ Ultra-thin sunglass retainer! 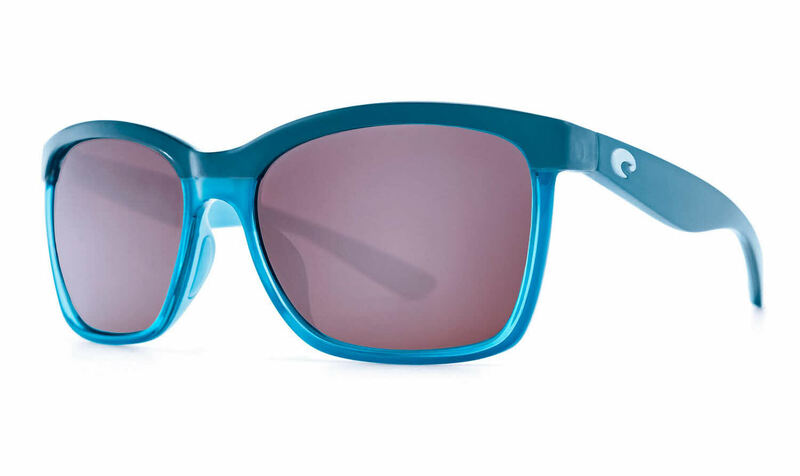 Costa OCEARCH Anaa is a Full Rim frame for Women, which is made of TR90 Nylon. TR-90 is a durable, flexible material that is both light weight and comfortable. TR-90 retains its shape by memory, so it will not need adjustments; it is also temperature resistant. This model features a Square shape, with a Saddle Bridge. Ideal for usage with: Sports, Everyday Driving, Fishing, Fresh Water. Costa OCEARCH Anaa Sunglasses come with a cleaning cloth and protective carrying case.